CO2 incubators are widely used in scientific research to grow and maintain cell cultures. Typical fields of application include tissue engineering, in-vitro fertilization, neuroscience, cancer research and other mammalian cell research. The CelCulture® CO2 Incubator is designed and manufactured using the accumulated expertise and knowledge that we have developed with over 35 years of World Class equipment for laboratory usage. 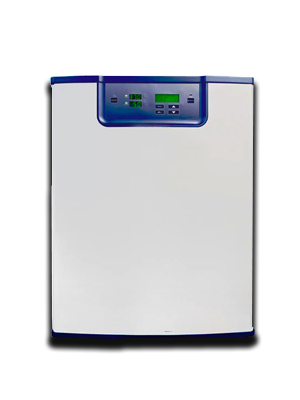 Designed with sample safety, energy efficiency and user-friendliness in mind, the system achieves precise parameter controls, highly effective contamination control and intuitive user interfaces. SteriSafe™ ULPA filtration enables the chamber air to be maintained at ISO class 5 conditions. The incubator’s main body is made from electro-galvanized steel with our unique ISOCIDE™ antimicrobial coating. SwiftCon™ moist heat 90⁰C decontamination cycle operates overnight to eradicate contamination in the unlikely event it occurs. At the end of the cycle, the chamber is dry and ready to use. CO ₂ tank depletion reminder in addition to CO ₂ tank-low alarm. ULPA-reminder will alert user to replace ULPA filter. SwiftCon™ 90˚C validated moist heat decontamination cycle operates overnight to eradicate any contamination in the unlikely event it occurs. At the end of the cycle, the chamber is dry and ready to use. Note: For GSCCL-50L units, further wipe down of the chamber is needed since it has no decon pump and condensation will normally occur after the decontamination cycle.